Every single day, many different people begin pursuing their dreams and passions by building brands on the internet. It has never been easier to get started and be seen by large numbers of people, but there are plenty of disadvantages and challenges that come with the territory. Unfortunately, many brands fail to gain the proper traction that is necessary for long-term success, and subsequently fail. It takes a precise mixture of ingredients and approaches to guarantee long-term success, but much of it is rooted in how you start the brand. We’ll discuss today some core components of starting a new brand so that you can maximize your chances for success. Before all else, a brand needs to ask one simple question: “who will I target?”. Whether you are planning on opening a non-profit or an online business, it is crucial to know ahead of time who will be your primary clients, customers, subscribers, donors and volunteers. The answer to this question will determine everything from how you price products and services to how you market your brand to the general public. It is necessary to determine one or two target audiences before moving on to any other plans, as this will be the basis for everything that follows. Before you start pinging links to search engines and social media, you want to have an idea of who will be competing for the same people. Again, it doesn’t matter whether you are a volunteer organization or a business: there will be other entities who are providing the same services and marketing to the same people. Do your research and determine who they are marketing to, how much business or reach they enjoy, and to what extent they have a presence on the internet. The answers to these questions will further inform you on how to proceed. In order to be effective against the competition and to grow your brand, you must be able to offer something unique. Even if your efforts are very similar to that of the competition, it is crucial that you find a way in which to package them in a different way. Brands that excel tend to follow this concept, as it helps make you more memorable to those who are first-time shoppers or fans. Your brand absolutely needs its own personality in order to be successful. It is highly recommended that you think about your brand in the same way that you’d think about another person. What qualities does it have? If you could sum up the brand in one word, what would it be? 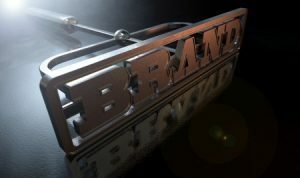 People want to connect with brands that have personalities – much like they want to do with humans – and so it is imperative that your brand has its own personality and aura. Otherwise, you’ll just be pinging links and content into the wild blue yonder that’ll resonate with no one. Whether you’ve already started a brand or are planning to do so shortly, these tips are essential to long-term brand development and management. If you’ve already been managing a brand, then tell us below about your biggest challenges and how you overcame them.